Gabrielle Douglas has added another gold medal to her collection, winning the all-around gymnastics title with an amazing performance. Gabby has been incredibly consistent during the 2012 Summer Olympics in London. She started with a solid effort in the qualification round, was tremendous in the team competition and was at her best today! Victoria Komova of Russia was also spectacular, but Gabby scored .5 points higher than Victoria in the vault, and that was the difference. Ali Raisman tied with Aliya Mustafina for the third best score, but Mustafina won the tiebreaker for the bronze medal. Douglas is the fourth United States gymnast to win the all-around gold medal in women’s gymnastics, joining Mary Lou Retton, Shannon Miller and Nastia Liukin. Gabby is the first woman of color to win the all-around. Truly an inspiration! Congratulations Gabby! 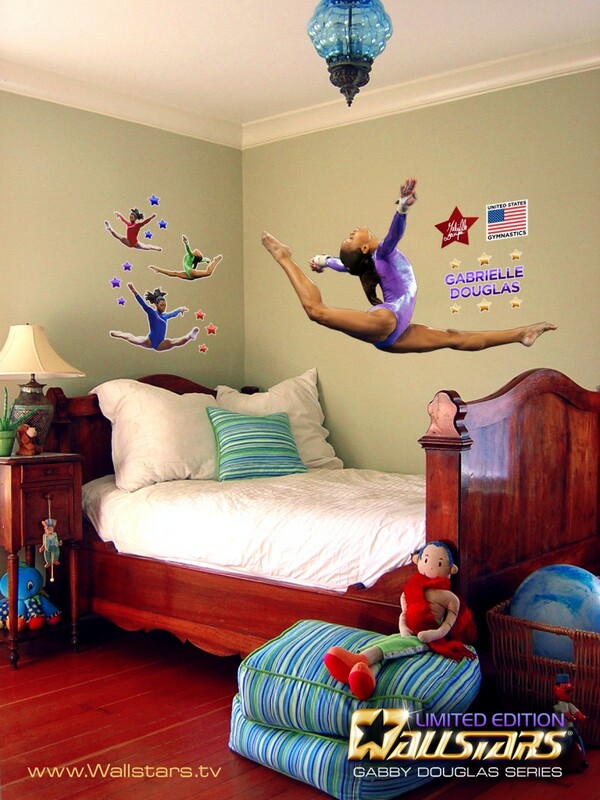 Get Your Gabrielle Douglas Wall Stickers Today! Add the “Flying Squirrel” to your walls today. Bring home the gold Gabby!